When we miss sleep in our 24/7 world, we pay a price with our ability to learn, our health, and our quality of life. Insomnia is on the upswing in our western world and has become one of the top concerns that I see regularly in my naturopathic practice. Why are so many of us not able to have a good night’s sleep anymore? 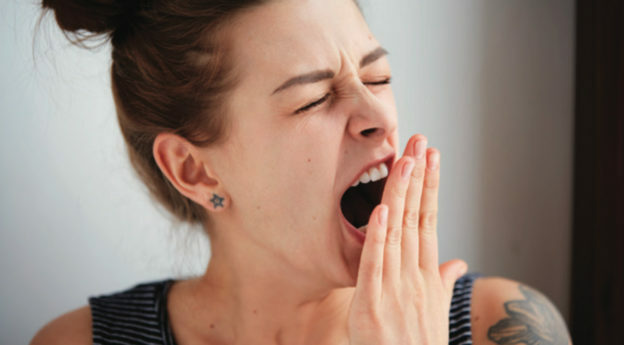 There are often a number of reasons that people can’t enjoy quality sleep and there are many common health issues that are related to sleep disturbances. Sleep apnea, hormonal changes, chronic pain, stress, anxiety, irregular sleep patterns, electronics, and nutritional deficiencies are just a few of the areas that need exploration when discussing insomnia. Getting a good night’s rest has numerous positive effects on our mental, emotional, and physical health. Most adults require a minimum of seven to eight hours of rest to really reap the bene ts that research shows happen in our deeper REM sleep. Lowering cortisol, the stress hormone, with proper rest leads to a natural decrease in the risk of developing cardiovascular disease and obesity, improves memory, lowers inflammation, and helps us to feel focused and positive during the day. A recent article from Science magazine entitled “Sleep Drives Metabolic Clearance from the Adult Brain” showed that sleep acts like a sanitation truck driving around in the brain clearing out waste materials. This “glymphatic system” consists of glial cells in the brain that clean up metabolic waste as β-amyloids that are produced from normal neurological activity. Research shows there is a significant risk of neuro- logical diseases such as Alzheimer’s when these β-amyloids build up. A short bout of insomnia will not increase the risk but chronic insomnia and impaired brain function after days or weeks can certainly lead to more serious health concerns and may increase the risk of Alzheimer’s disease later in life. When you can’t sleep, life feels very overwhelming. A groggy brain can make you irritable, disoriented, and at risk of more serious long-term health issues. Explore the reasons why you can’t sleep before you become reliant on sleeping pills or other medications. Start with avoiding alcohol and caffeine in the evenings, exercise earlier in the day, and create a cave-like atmosphere in your bedroom with complete darkness and a calm environment. Checking your phone or computer before heading to bed signals the brain to rev back up because of the light coming off an illuminated screen, so avoid the urge to log in at bedtime. If sleep still slips away from you most nights, get some support from your naturopathic physician. Get your “glymphatic” system back to work cleaning up and helping you feel energized again! This entry was posted in Whole Body Health on July 12, 2017 by Dr. Shelby Entner.